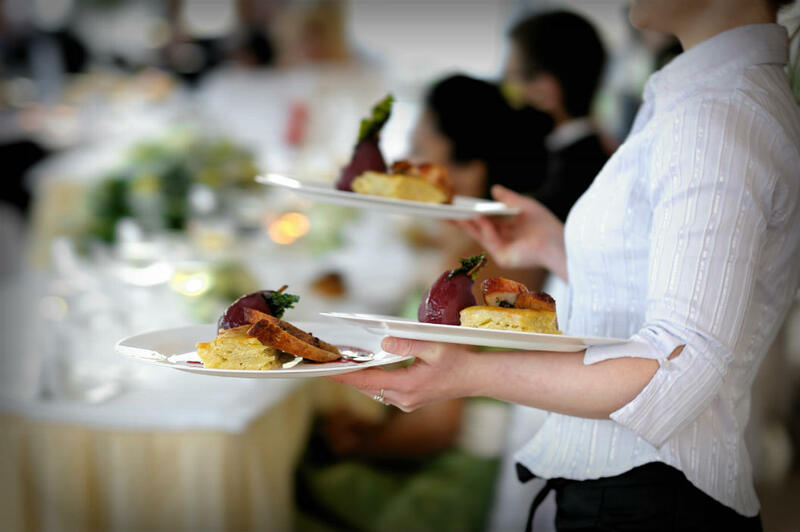 Traditionally, the hospitality industry has been prone to high employee turnover. In fact, according to the U.S. Bureau of Labor Statistics (BLS) Job Openings and Labor Turnover report, in February 2017 the accommodations and foodservice industry experienced 6.2 percent employee separation -- meaning quits, layoffs and discharges, and other separations from their employer -- a rate much higher than the overall average of 3.5 percent experienced across all industries. Each of these separations can cost a company, on average, $6,000. According to Adecco Staffing's turnover calculator, when looking at national averages, this means it can cost a company upwards of $18,600 - $43,800 to replace 50 employees being paid between $10.50 - $14.00 per hour. By nature of the hotel industry, it can be challenging to find and keep talent. There are many overnight and hourly positions to fill, both year-round and during peak travel season. However, when considering the high rate of turnover and the high cost of that turnover, it is apparent that hotels should, not only develop a solid pipeline of candidates, but fill that pipeline with the potential employees who fit into the organization. As the war for talent continues, hotels and other business must get more creative in their recruiting and retention efforts. According to a recent Adecco study, 37 percent of Best-in-Class employers -or those with low turnover rates, sizable revenue growth and annual decreases in time to hire- are using Employee Referral Bonus Programs as part of their recruiting practices. These programs continue to gain popularity in part because they are a low-risk solution that can be tailored to fit the needs and budgets of companies across a range of geographies and sizes. A chain hotel or independent boutique, for example, can customize and scale their program to fit their needs. Such programs can be an effective way to overcome the challenges of finding candidates with specific skill sets and quickly ramping up seasonal hiring. Employee Referral Bonus Programs can help hotel businesses not only find and attract best fit talent, but also retain top performers and improve employee morale. No one knows your business - and what it takes to make it successful -- better than your employees. Tapping your top performers to help source talent is a great way to ensure candidates will be the right fit for your company culture, as well as have the right hard and soft skills to do their job. Empowering employees to make recommendations for new hires can also make them feel more engaged and invested in your business, ultimately helping with talent retention. When employees have a say in the hiring and team building process, they will appreciate that you value their opinion. And when you incentivize them with financial reward through an official referral bonus program, they'll appreciate it even more. Additionally, referral bonus programs are cost-effective. Imagine spending tens of thousands of dollars on a recruitment advertising campaign and receiving a just handful of applicants who may not have the required skills or experience for a particular position. By tapping the networks of your employees, you can attract candidates who come pre-vetted. And because referral bonuses typically are not distributed until the referee is hired and has completed a set amount of time on the job, you can essentially recapture the bonus before it must be paid out. While referral programs generally offer bonuses to employees who refer candidates from within their personal networks, you can customize your program to meet your hotel's unique needs. Manage Your Inventory - Just like keeping track of your reservations and available guest rooms is critical to the hotel's success, keeping track of who referred whom, interview dates, date of hire, as well as when bonuses will be paid out is key to a successful employee-referral bonus program. Due to the number of players in this recruiting tactic, it is important to stay organized to prevent miscommunication between employees, referees and the company. Be Communicative - Maintain clear and transparent communication with employees throughout the entire referral process to make sure they understand the program and any deadlines they must adhere to. Consider working with employees to develop the top reasons they enjoy working at the hotel and some of the growth opportunities they have experienced since starting so they can better communicate it with their network and find the right candidate for the position. Additionally, be sure to establish and communicate clear guidelines as to when referral bonuses will be paid out. Expand Your Network - Referral programs need not be limited to current employees. Some organizations are offering referral programs to interviewees, encouraging those applying for positions to also refer contacts from their network. After interviewing a promising candidate, consider providing them with a referral card that they can give out to their network. If they refer you to another candidate who is ultimately hired, the referee will be eligible for a bonus. You can also tap former seasonal workers to help grow your talent pipeline. For this strategy to be successful, it is important to have a positive off boarding process in place. Get Social - Best-in-Class companies are 45 percent more likely to share content and job postings on their social channels to recruit candidates. The main reason for leveraging these platforms is that candidates' are increasingly using social media during the job process. According to our survey, millennial and Gen Z recruits use Facebook (67 percent) and LinkedIn (40 percent) in the job hunt. In addition to passing out hard copy referral cards, encourage employees to retweet and share job postings on their personal social media channels. Provide financial incentives to those that lead to new hires. Be Competitive - With the job market tight due to a low unemployment rate, it is essential for companies to be competitive with their offers. Many times, we have seen candidates be hired at a company but leave during orientation for another job opportunity that is paying one dollar more an hour. Even if the candidate is a perfect fit and was recruited by their friend, wage pays a large role in whether they stay or go. According to our new survey data, 95 percent of employees said pay was an important factor when deciding to take a job or stay at their current company yet, only 65 percent are satisfied with their overall compensation and pay. Take the time to understand what the average salary is in the hotel industry in your state and make sure you offer is aligned. Check-In Regularly - A great way to gauge the success of an employee who was referred through this program is by scheduling a check-in 30 days after being hired. Prior to this check-in, interview the referral's managers and potentially co-workers to understand how this employee is fitting into the organization. While it is not always possible to quantify how successful a candidate is, we consider an employee to be successful if they fit seamlessly into the culture after a few months and are excelling at their position. As you begin to plan or refresh your employee referral bonus program, it is important to consider potential challenges you may face. By only hiring employee referrals, you may unintentionally undermine the potential for diversity within the organization. This can be caused by employees referring candidates who are similar to themselves in ethnic background, gender, education, work experience or other ways. While such programs can be an important tool in your overall recruitment and retention strategy, they should not be the only one. Leveraging a mix of employee referrals as well as staffing partners, social media, job fairs and other resources can ensure you have a diverse and strong candidate pipeline. Additionally, some employees may be hesitant to refer candidates for fear of damaging their personal relationship in the event the candidate is not hired or their professional reputation if the candidate is hired but does not work out as an employee. Be transparent about the process including not promising employees that their referrals will be hired, as well as communicating that employees will not be held responsible for potential poor performance of referrals they make. Lastly, you may be concerned that by offering a bonus for referred candidates, employees will be more willing to recommend less qualified candidates than they would if there were no monetary reward attached. Although I have rarely seen this concern become an issue, to combat this, ensure that every referred candidate goes through the same screening process as a non-referred candidate, and ask questions that allow you to assess the candidate's experience, personality and work ethic with as much accuracy as possible. Having a reliable, strong workforce - from front desk staff, to housekeeping, to maintenance, to restaurant staff -- is critical to the success of your hotel business. Keep your talent pipeline full of quality candidates by leveraging employees and your extended network through referral programs.